Posted by fofo in ASP.Net MVC. The overwhelming majority of my websites are built using NopCommerce (ASP.Net MVC,Entity Framework,JQuery). I am a senior developer at a small company (NopServices – http://www.nopservices.com ) that use NopCommerce as the shopping cart of choice, so I grabbed this book just out of sheer curiosity. I use this book to help content writers/managers who work under me at my day job acclimated to NopCommerce so that they are able to take the sites I have built, add products, add content and in general make all the necessary configurations. This book is rather short is very easy to read and understand. The whole learning experience is smooth because of the many screenshots that appear in the book. In the first chapter, the reader can understand what are the prerequisites and requirements in order to work with NopCommerce. Then we learn how to install the various components, install SQL Server and Visual Studio if we want to perform any custom development. We also learn how to install NopCommerce and set the necessary permissions. In the next chapter we are introduced to the storefront and the customer experience. Everything is explained thoroughly and there are so many screenshots in this chapter that make the learning experience smooth and fun. 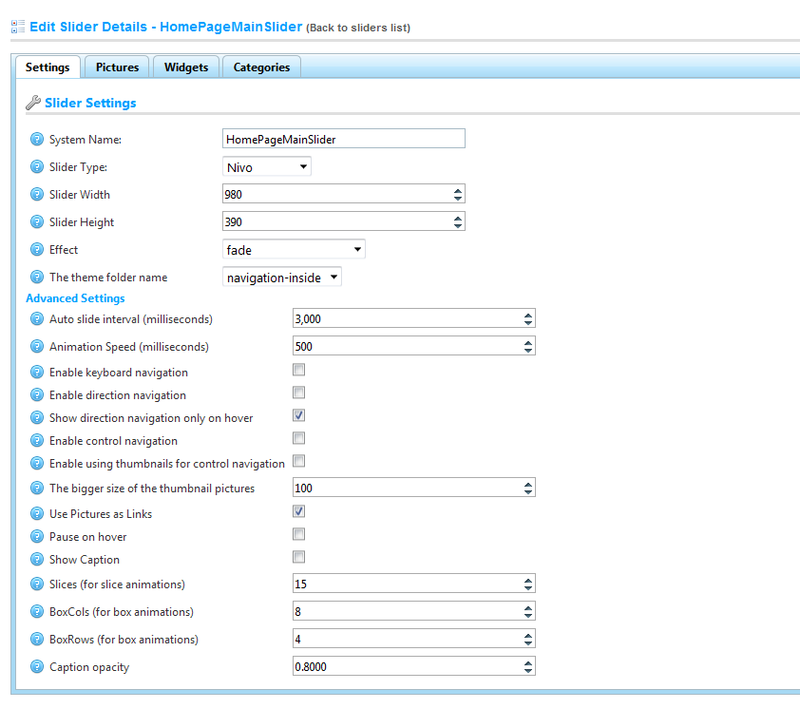 Category, manufacturer and product detail pages are explained. Shopping cart,one-page checkout process are also demonstrated. In the third chapter an overview of the administration site in NopCommerce is provided. We learn how to create categories ,manufacturers, add new products, set up product attributes and variants. In the fourth chapter we learn about the various configuration settings and how we can tweak them to have our store operate in the way we want. We learn how to set up payment methods, shipping methods, manage taxes, edit topics and install plugins. In the fifth chapter we learn how to process orders. We learn to look into the various components of a customerʼs order, how to manipulate orders and how to process orders. I found the book fairly straightforward to read and simple enough for me to understand. The layout of the information is simple to follow and the chapter structure makes it easy for you to skip to and focus on the features you want to most understand and use, rather than being restricted to a ‘beginning to end’ approach. It is a practical guide to get your first NopCommerce e-commerce site up and running very quickly. So If you are planning to use NopCommerce, I would highly recommend it. Posted by fofo in asp.net, ASP.NET 4.0, ASP.Net MVC. For those of you, who do not know nopCommerce, let me first say that it is probably the best .NET e-commerce system out there with a comprehensive set of features and extensible architecture. .NET developers interested in e-commerce will certainly be more than happy to learn that nopCommerce is developed using .NET 4.5, EF 5 and MVC 4. NopCommerce should certainly be in the toolbox of every .NET web company but as feature-rich and as extensible as it might be, you cannot offer the system to clients as it is, at least not with the default Dark Orange theme. But this is a normal part of the open source model and that is why every such system has a network of third party vendors to fill the gaps in the free software. NopCommerce has quite a lot of customization partners and a few product vendors. But one particular set of products stand out from the rest. In this blog post and the posts to follow I will try to show you how you can use the nopCommerce themes and extensions from Nop-Templates.com to build a solution for your e-commerce clients in literary minutes. Looking at the default nopCommerce installation , http://demo.nopcommerce.com/,the first thing that I would like to have on my e-shop and probably the first thing that my e-commerce client will ask me for is how to put banners on the web site. As a .NET web developer you have two options. 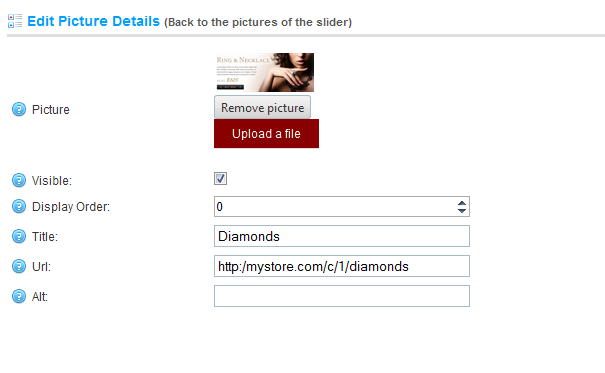 Go out and find a sliding JQuery script, write some MVC code to integrate the JQuery script in wherever is appropriate in nopCommerce, and hard code some sliding images. This solution while possible will certainly require time researching and developing the code. If you are not familiar with nopCommerce you will have to factor in the learning curve too. 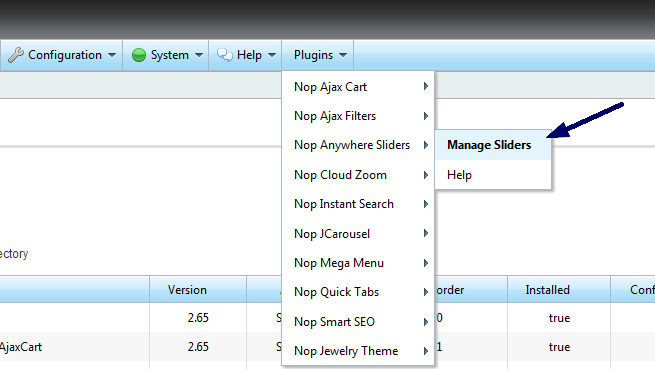 Fortunately we have the Nop Anywhere Sliders from Nop-Templates which will not only do all this but will also offer you a set of features, which will empower your nopCommerce with the possibility to put sliding images on any page and on as many pages as you need. It is important that the SevenSpikes.Core plugin is installed before the Nop Anywhere Sliders. The category mapping of the plugin is quite a nifty feature, which can save you tons of coding and integration if you are to implement this from scratch. I have covered the basics of working with the Nop Anywhere Sliders and I hope you will find this useful. The plugin is quite powerful and flexible and just does the job that it is supposed to do with very little effort required from the nopCommerce store owner or developer.